A Change in Direction? Or Picking One? I have struggled with this blog over the years. In order to have a really good blog, you need a focus area, and I didn’t really have one. I started just blogging general stuff about my life here in Pittsburgh, did some fiction, then switched to book reviews. Lately, it’s been pretty much lists of books I have read. I did the reviews as part of my being associated with the Matthew Ridgway Center for International Security Studies at the University of Pittsburgh. I would love to blog on International Security, but there are already so many good bloggers in that space (that’s not even half of them) and I didn’t feel I had anything to add. Coming from an engineering background, I also suffer from a lack of credentials. In any case, my friend has been blogging about her experiences in training her horse (and herself) for international dressage and eventing competitions. It’s giving me the itch to blog again. But that brings me right back to the first point – what to blog about? Lately I’ve been working on picking up an associate’s degree in software development (to add to my already over-degreed self with a BS in Mechanical Engineering and my MBA). I’m doing this to make myself more employable, but also because…it interests me and I enjoy it. I recently read David Kilcullen’s book Out of the Mountains: The Coming Age of the Urban Guerrilla. It’s a fascinating book. Kilcullen basically notes that the future will be urban, coastal, and networked. Urbanization continues apace with more than half of the world’s population living in cities, and most of those cities on the coasts. With technology – especially mobile phones – more and more of them are becoming connected. This has huge implications for the future – and Kilcullen notes the effect it will have on warfare. We got a taste of this in Somalia back in the 90s (See: Black Hawk Down) and with the raid on Mumbai in the 00s. It’s that time of year again. My reading was down a little this year due to the fact that I was working full time and reading some longer books. 15.) One Small Step Can Change Your Life: The Kaizen Way – by Robert Maurer, Ph. D.
38) Ice: Stories of Survival from Polar Exploration – Clint Willis, ed. 53) Inch and Miles: The Journey to Success – By John R. Wooden et al. I don’t what it is about books on linguistics but I have had a terrible time finding books that do what they purport to do. For example, it seems my quest for a good history of the English language continues. 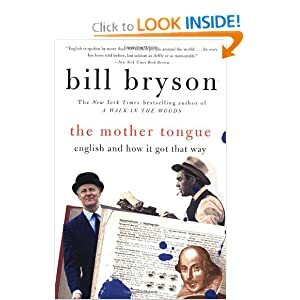 In The Mother Tongue: English and How It Got That Way, Bill Bryson takes the English language and describes it ad nauseum – he covers all the major periods of history but not in a coherent fashion. Instead, this book reads more like a collection of entries on various facets of the language. He provides plenty – and I mean plenty – of examples of different ways that words were formed, where they came from, and the differences across regions. He covers everything from naming conventions to pronunciation differences to swear words, and he covers the difference between British English and American English. It’s great if you’re looking to win a trivia contest, but not so good for tracking the history of the language. 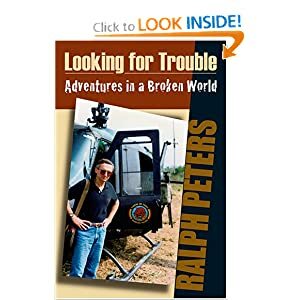 This weekend I read Ralph Peters’s book Looking for Trouble: Adventures in a Broken World. In the tradition of Robert D. Kaplan, he combines travel writing with political commentary. The major part of the book is given over to his travels through the former Soviet Union in the mid-90s, and includes insight into Georgia,Azerbaijan, and Armenia. His prose is beautifully written, and his insights into the situations there, although influenced by hindsight, are thought-provoking. Later he recounts his involvement in the drug war in South and Central America as well as Thailand. The book ends in 1998, when he retires from the army and becomes a civilian. I’m hoping there will be a sequel. Peters is a commentator on Fox news, and it should be noted that he has very strong opinions about things. Overall, I think it’s worth a read for anyone interested in travel, COIN, or international security. I’m filling in a gap by reading this book. It’s referred to in a half-dozen counterinsurgency books and on of course on COIN blogs as well. I’ve read Kilcullen and other’s, and I figured it’s about time to read Nagl’s book too. It’s interesting, reading it from the perspective of the course of events in Iraq and Afghanistan. 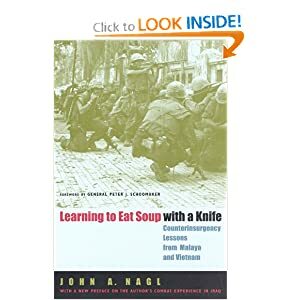 This is the paperback edition from 2005, and Nagl does have a foreword written that notes some of the lessons he learned serving in Iraq and where he got it wrong and right in the book. Traditionally security is evaluated from the vantage point of military force, and maybe less often economics. Two areas that I’ve been reading lately are financial security (which is different from economic, and which I’ll touch on later) and food security. 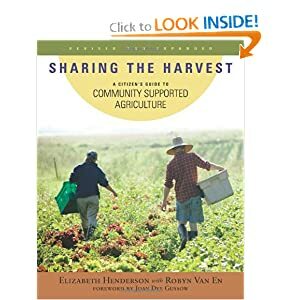 My family joined a CSA this year, and it’s opened my eyes to the problems with our food system in the United States – everything from long supply lines to the health of our people, things that directly impact our security. I’ll dig more into all three of these topics in future posts.